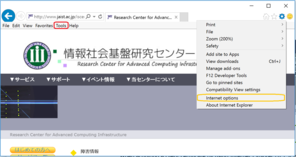 Research Center for Advanced Computing Infrastructure: Acquiring Digital certificate using "Internet Explorer"
Acquiring Digital certificate using "Internet Explorer"
When acquiring a client certificate by using Internet Explorer (IE), it is necessary to change the setting of IE beforehand. 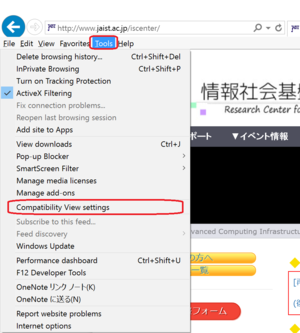 Open "Tools" menu of the menu, or click on the tool icon, then select "Internet Options". 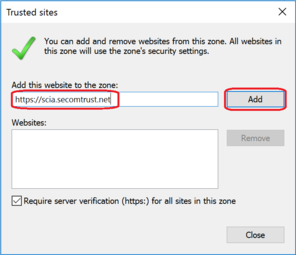 Select the "Trusted sites" from "Security" tab, and click on "Site". 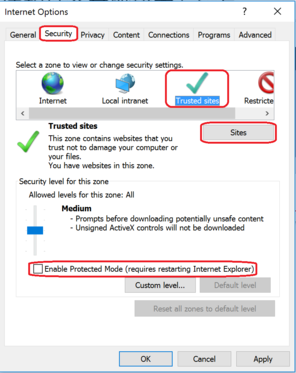 Uncheck "Enable protection mode" if it is checked. In the "Add this website to the zone" field. 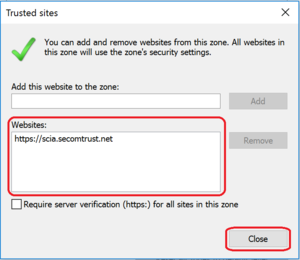 In the "Web site" field, confirm that the URL entered in the previous step has been added, then click "Close". Make sure that "Trusted sites" is selected, then click "Customize level". 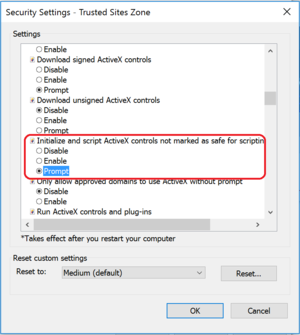 Search for object "Initialize and script ActiveX controls not marked as safe for scripting"
In "Scripting" object, set 'scripting Java applets to "Enable" and click "OK". 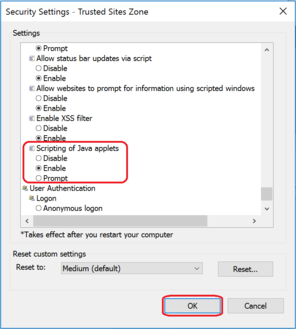 If you are asked whether you want to change the setting, click "Yes". 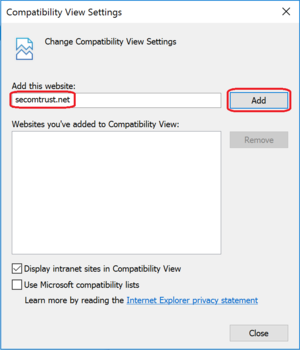 Open "Tool" from menu or click tool icon. 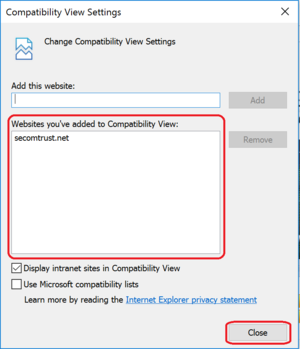 then open "Compatibility view settings"
Confirm that what you entered in the previous step been added to the "Website you've added to compatibility View" field and click "Close".